More than 3000 kilometers in less than two weeks, 40 presentations around eight different municipalities, 10 workshops, hundreds of working hours and many sleepless nights are now paid off with 78 new articles about Kosovo and 1450 photo published in Wikipedia. We started the second edition of Wiki Academy Kosovo strongly believing that our mission will be accomplished with the help of our community. We were right. More than 500 applications were received in four weeks of application period for the article contest and after a careful review 270 applicants were invited to become participants of the Academy and write in teams with the help of our 12 mentors, 78 great articles. In the same time, 98 photographers posted more than 1450 pictures in Wikimedia Commons as part of the photo contest of the Academy. 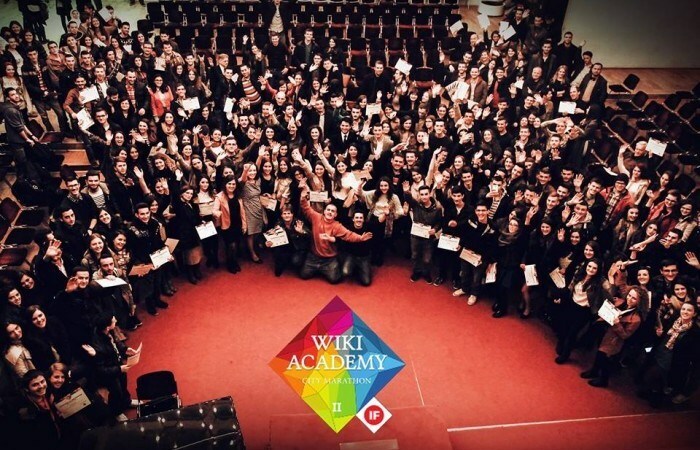 Three months after, all those who made this an outstanding academy gathered in the Red Hall of the Youth Palace in Prishtina to celebrate their success. Online Content in Kosovo was never better. Although the ceremony and the awards given marked the peak of this project, for sure were not the most important part for the new wikipedians. During the camps, it was great to know that a lot of them did not actually know that prizes would be given to the best of the academy. For our participants, the strongest incentive to partake was the mission of this project – making real Kosovo visible in the internet. This is amazing and all that matters.